Joseph had a dream in which he was elevated above his brothers. It involved something common in an agrarian society — binding sheaves in the field. The following photos were made in the region of Samaria, and near the ancient city of Samaria. 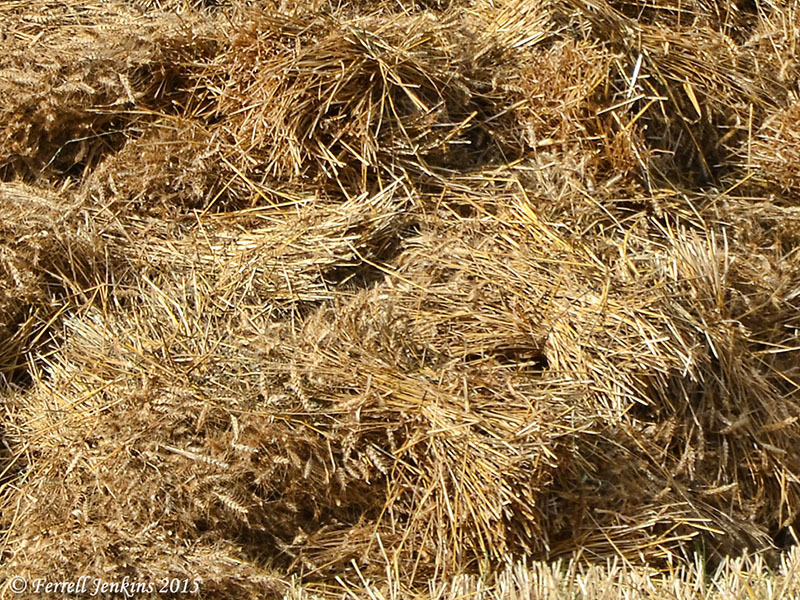 The first shows sheaves that have been gathered in the field. Sheaves in the field near Samaria. Photo by Ferrell Jenkins. The next photo is a cropped closeup in which you can see the strings binding some of the sheaves. Closeup to show the string around some of the sheaves. Photo by Ferrell Jenkins. Possibly the best known instance of sheaves in the Bible is the story of the young Moabite woman named Ruth. She requested permission to pick up what was left after the reapers went through the field of Boaz. She said, ‘Please let me glean and gather among the sheaves after the reapers.’ So she came, and she has continued from early morning until now, except for a short rest.” Then Boaz said to Ruth, “Now, listen, my daughter, do not go to glean in another field or leave this one, but keep close to my young women. Entrepreneurs take advantage of the Biblical stories. This store, which I did not visit, is located in the vicinity of the traditional Shepherd’s fields near Bethlehem. The salesmen are just waiting for the next bus load of tourists. 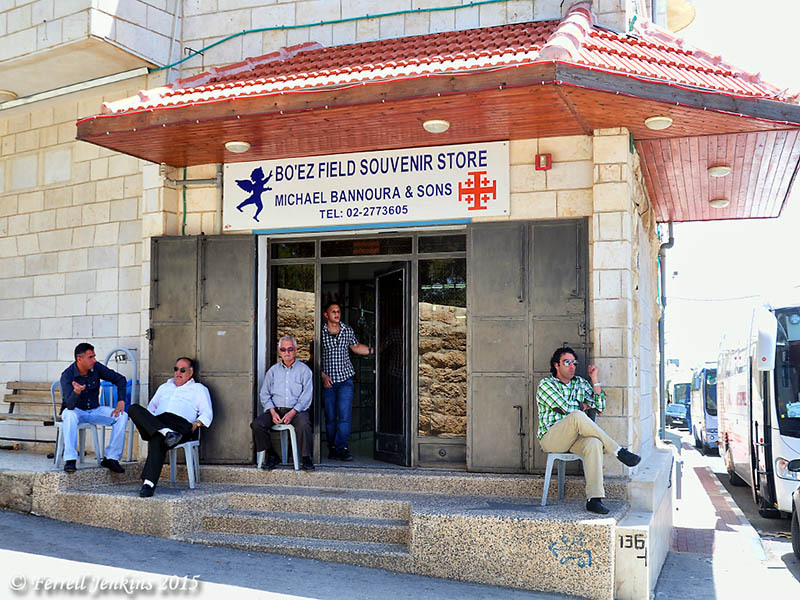 Boaz Field souvenir store near Bethlehem. Photo by Ferrell Jenkins. Since childhood I have loved to sing Knowles Shaw’s spiritual song, “Bringing in the Sheaves.” By the time of my childhood we already had a mechanized way of baling the hay, but the lesson was easy to understand. 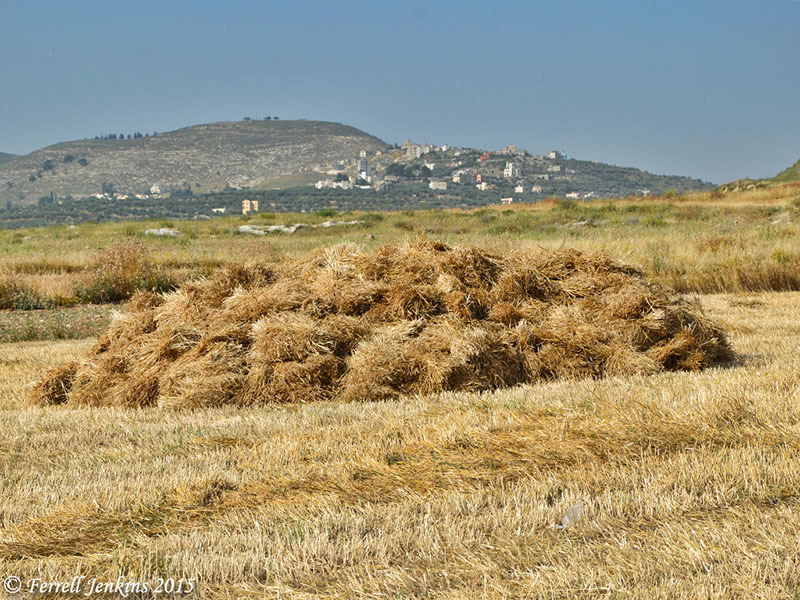 This entry was posted in Bible Places, Bible Study, Culture, Israel, Old Testament, Photography, Travel and tagged agriculture, David, West Bank. Bookmark the permalink. Shalom! Thanks so much for sharing this – it’s a wonderful way of bringing the Scriptures to life. 🙂 I do have a question that you may have the answer for – what were/are the sheaves bound with? String made from flax? Or maybe old (grape) vine? What did they use in ancient Israel – at the time of Ruth and Boaz, e.g.? Thanks for any light you can shed on this.